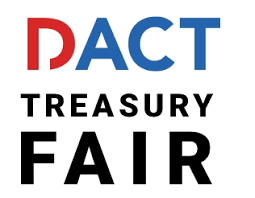 At the DACT Treasury Fair 2018 KYOS hosted a workshop together with Cargill. DACT (Dutch Association of Corporate Treasurers) held this annual event now for the 16th time. Apart from three rounds of workshops, participants could also visit product demonstrations and walk along the exhibitor’s stands. Tom Schurmans provided some insights into some of the daily activities at Cargill, particularly on energy costs and risks. Cargill uses the KYOS’ Commodity Portfolio & Risk Management System. 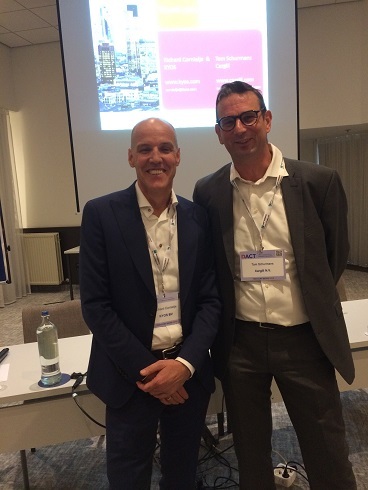 Together with Richard Cornielje he showed how Cargill employs the KYOS Portfolio and Risk Management (PRM) system in practice to manage exposures, physical flows, financial derivatives and residual risks. In addition, Richard gave a practical example of how a commodity portfolio and risk management system is essential for clarifying risks and calculating potential distribution of cash-flows. The case study of the imaginary Energize Drink BV showed that having a good understanding of your cash-flow risks is crucial. With these insights, Procurement and Treasury are then able to select and execute the optimal hedging strategy. Do you have multiple exposures to commodity price fluctuations? The Commodity Portfolio & Risk Management software combines physical commodity management with financial risk reporting and price analytics. It swiftly reveals the company-wide financial risks in clear reports. It supports procurement managers, treasurers and risk managers to take data-driven decisions. Please contact us for a free demonstration. We are more than happy to show you what our models can do. And more importantly, how they can work for you! Just leave your details in the black section below, or send an e-mail to info@kyos.com.